Wait! Don’t just toss that garnish aside—it’s an integral part of the show! Ideally, a garnish should correspond to some element of the cocktail; it’s a visual cue for your brain to ready for tart lemon or lime, a brandied cherry or maybe even something more exotic. Especially this one. When you order a Woody Creek Sazerac ($19; WoodyCreekDistillers.com) at the Eiffel Tower Restaurant bar in Paris Las Vegas, your cocktail arrives bedecked with gourmet Popped popcorn inspired by the spirit-forward drink’s recipe: rye whiskey (or sometimes Cognac), a sugar cube and Peychaud’s Bitters in an absinthe-rinsed glass. This isn’t the first time the local popcorn company (BestGourmetPopcorn.com) has been guided by spirits. 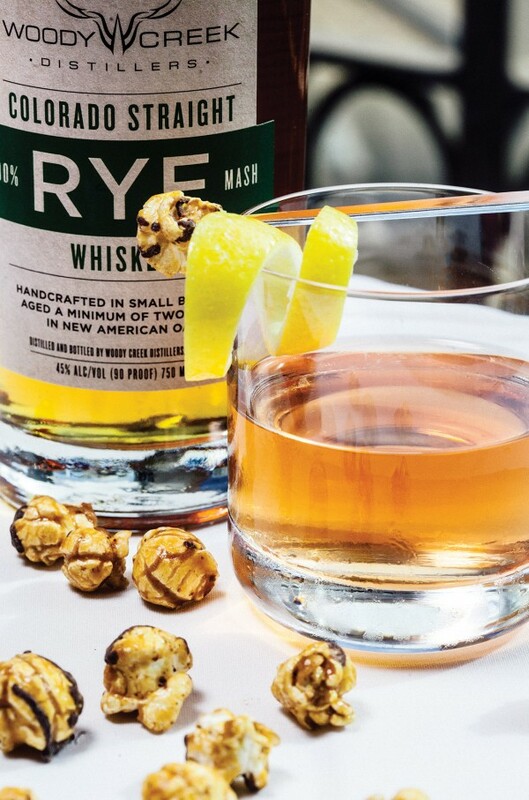 Custom popcorn flavors have also been created around the flavor profiles of Tenaya Creek and Firestone beers, Grand Marnier and St-Germain liqueurs and Jameson Black Barrel Irish Whiskey. Look for more flavors on the bar at the Sand Dollar Lounge and Laundry Room. Then just nibble, sip and repeat. The post Popped Goes the Cocktail appeared first on Vegas Seven.